Do Hedge Funds Love Teekay Offshore Partners L.P. (NYSE:TOO)? “Value has performed relatively poorly since the 2017 shift, but we believe challenges to the S&P 500’s dominance are mounting and resulting active opportunities away from the index are growing. At some point, this fault line will break, likely on the back of rising rates, and all investors will be reminded that the best time to diversify away from the winners is when it is most painful. The bargain of capturing long-term value may be short-term pain, but enough is eventually enough and it comes time to harvest the benefits.,” said Clearbridge Investments in its market commentary. We aren’t sure whether long-term interest rates will top 5% and value stocks outperform growth, but we follow hedge fund investor letters to understand where the markets and stocks might be going. That’s why we believe it would be worthwhile to take a look at the hedge fund sentiment on Teekay Offshore Partners L.P. (NYSE:TOO) in order to identify whether reputable and successful top money managers continue to believe in its potential. Teekay Offshore Partners L.P. (NYSE:TOO) was in 7 hedge funds’ portfolios at the end of September, experiencing a small decrease in hedge fund sentiment lately. 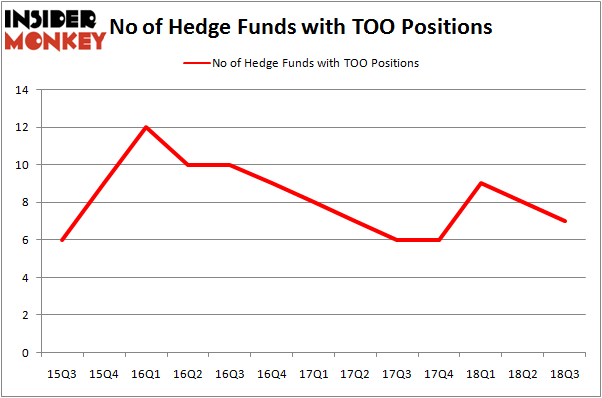 There were 8 hedge funds in our database with TOO holdings at the end of the previous quarter. Even if the company, hasn’t lost one shareholder during the third quarter,8 investors long the stock is not even close for it to be considered as one of the 30 most popular stocks among hedge funds in Q3 of 2018. “Teekay Offshore is an abandoned public stub of a mission-critical marine infrastructure business, recapitalized by Brookfield partners (NYSE:BBU) in September 2017. Pipeline-like assets in the North Sea, Brazil and Canada transitioning away from a MLP-like model to an equity appreciation model. Continuing with our analysis, we’re going to view the key hedge fund action regarding Teekay Offshore Partners L.P. (NYSE:TOO). How have hedgies been trading Teekay Offshore Partners L.P. (NYSE:TOO)? At the end of the third quarter, a total of 7 of the hedge funds tracked by Insider Monkey were bullish on this stock, a drop of -13% from the previous quarter. By comparison, 6 hedge funds held shares or bullish call options in TOO heading into this year. 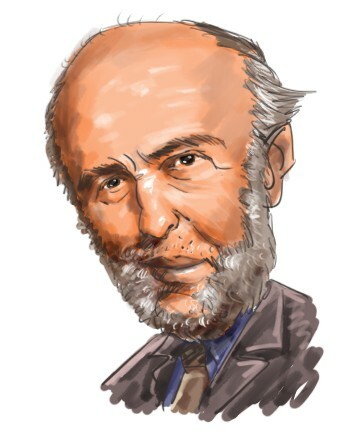 With the smart money’s positions undergoing their usual ebb and flow, there exists an “upper tier” of notable hedge fund managers who were adding to their stakes substantially (or already accumulated large positions). The largest stake in Teekay Offshore Partners L.P. (NYSE:TOO) was held by Luminus Management, which reported holding $22.3 million worth of stock at the end of September. It was followed by Aquamarine Capital Management with a $2.3 million position. Other investors bullish on the company included Renaissance Technologies, Millennium Management, and Citadel Investment Group. We view hedge fund activity in the stock unfavorable, but in this case there was only a single hedge fund selling its entire position: PEAK6 Capital Management. One hedge fund selling its entire position doesn’t always imply a bearish intent. Theoretically a hedge fund may decide to sell a promising position in order to invest the proceeds in a more promising idea. However, we don’t think this is the case in this case because none of the 700+ hedge funds tracked by Insider Monkey identified TOO as a viable investment and initiated a position in the stock. Let’s now take a look at hedge fund activity in other stocks – not necessarily in the same industry as Teekay Offshore Partners L.P. (NYSE:TOO) but similarly valued. These stocks are Chatham Lodging Trust (NYSE:CLDT), Exterran Corporation (NYSE:EXTN), Nuveen Preferred Income Opportunities Fund (NYSE:JPC), and United Insurance Holdings Corp. (NASDAQ:UIHC). This group of stocks’ market values are closest to TOO’s market value. As you can see these stocks had an average of 8 hedge funds with bullish positions and the average amount invested in these stocks was $46 million. That figure was $26 million in TOO’s case. Exterran Corporation (NYSE:EXTN) is the most popular stock in this table. On the other hand Nuveen Preferred Income Opportunities Fund (NYSE:JPC) is the least popular one with only 2 bullish hedge fund positions. Teekay Offshore Partners L.P. (NYSE:TOO) is not the least popular stock in this group but hedge fund interest is still below average. This is a slightly negative signal and we’d rather spend our time researching stocks that hedge funds are piling on. In this regard EXTN might be a better candidate to consider a long position. Hedge Funds Were 600% Overweight This Stock Right Before The Merger Announcement... Do Hedge Funds Love Tidewater Inc. (NYSE:TDW)? Is Forest City Realty Trust, Inc (NYSE:FCEA) A Good Stock To Buy? Spirit Airlines Incorporated (NASDAQ:SAVE): Are Hedge Funds Right About This... Here is What Hedge Funds Think About Ocean Rig UDW Inc (NASDAQ:ORIG) Is California Resources Corp (NYSE:CRC) a Good Stock to Buy?